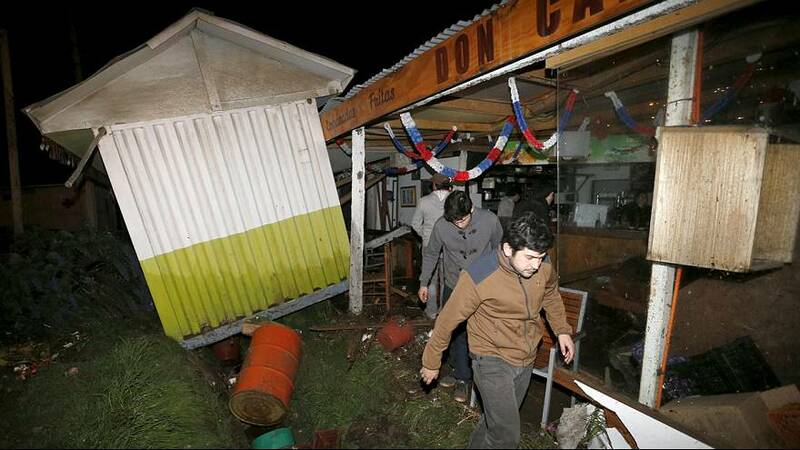 An earthquake measuring 8.3 hit the coast of Chile on Wednesday evening. Flooding followed in coastal areas and buildings swayed forcing people to take refuge in the streets. Less than an hour later there were several aftershocks. At least five people have been confirmed dead due to the quake. The epicentre was about 280 km north of the capital – it’s the biggest to strike Chile since 2010. Learning from mistakes made back then Chile’s President Michele Bachelet was much quicker to act, announcing she will travel to the most badly affected areas. Those living along the coast were ordered to evacuate . A tsunami alert was announced for Peru and Hawaii. As reports of four metre waves came in from Chile’s navy that alert was extended to the whole of the South Pacific region. Chile suffered a major earthquake five years ago which at 8.8 was the fifth largest ever recorded. The massive tsunami triggered by the quake killed more than 500 people.